Once all products have been added, you need to confirm your delivery instructions, state the order urgency and any other specific details in the second page and click send. This revamped ordering process also incorporates the ability for any sites to add on an Ad Hoc product to a stock order. Ad Hoc ordering will give users far more flexibility to add non‐template items to an order in an emergency, or if a non‐routine unit needs to be ordered it will mean that patient details don’t need to be sent to the Blood Service. Previously, if you wanted to order something that was not on your stock order template, you must either have the unit added onto your template by a BloodNet facility administrator or place a special order. With the BloodNet update released earlier today, an Ad Hoc ordering function has been added, which allows you to add any item that does not appear on your stock order template as part of your normal ordering process. Ad Hoc appears as a tab on the left hand side of the Stock Order page for both Fresh and Manufactured orders. When selected you have the ability to select the relevant product type and then select the desired product from the drop‐down box that will appear. Once a product has been selected, it will be added to your order at the bottom, after all routine stock items for you to enter in the required quantity. To place an emergency stock order, check the Emergency Stock Replenishment box when adding the units to your order via the Ad Hoc function. Please note: Immunoglobulin product should only be ordered as a stock if you already manage an imprest with the Blood Service or AFTER BloodSTAR has gone live in your State or Territory. NSW has not yet commenced preparation for going live. If any stock or patient order is urgent, please mark the priority as urgent or life threatening when placing the order in BloodNet. Please do not write the priority status in the comments box. 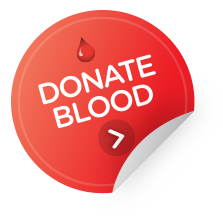 Urgent or Life Threatening orders should also be accompanied by a call to the relevant Blood Service site, the contact details for which can be found under Help > Contact Blood Service Inventory and Distribution. Along with the new Ordering revamp, facility administrators now have an easier way to edit Stock Ordering Templates. To add a new unit to your stock template click on “Add Red Cells” and the dialogue box pictured below will appear, customised for each product type. From this box, specify what kind of unit is required on your template and click “Add”. The selected unit will appear on your template the next time you go to perform a stock order. In preparation for the release of BloodSTAR later this year, an Authorisation Tab is now visible. From the go‐live date for BloodSTAR in your State/Territory this tab will link BloodNet and BloodSTAR and give visibility to you as a dispenser to view and dispense against patients with a current authorisation. More information about this tab will be released closer to your State/Territory go‐live date, for further details go to www.blood.gov.au/bloodstar. Please Note: This tab is not yet functional and does not mean BloodSTAR is live in your State or Territory. Recently, many users have had problems when trying to scan barcodes for Privigen and Flebogamma, which is related to the barcode format. If your facility has already updated to the newer generation photographic barcode scanners (that can process two‐dimensional barcodes) you can now scan twodimensional barcodes in BloodNet when receipting. If your site is having difficulty scanning items into BloodNet, please let BloodNet support know on 13 000 BLOOD (13 000 25663) so that we can investigate the problem as thoroughly as possible. 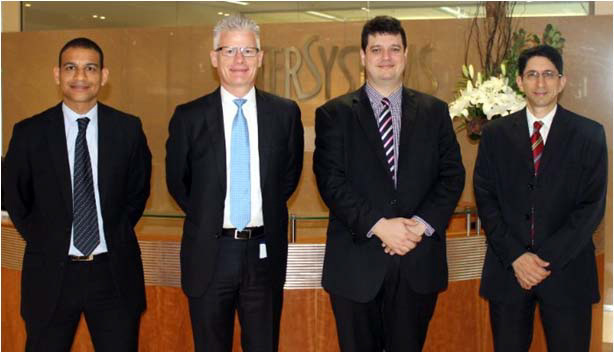 In April, Intersystems and the National Blood Authority signed a contract to cover the development and implementation across Australia of an interface between BloodNet and each instance of Trakcare Lab. InterSystems will include the BloodNet interface in its TrakCare Lab LIS product as well as its TrakCare Lab Enterprise laboratory business management system, released in April this year. Under the NBA contract, InterSystems will continue to update the interface to support ongoing BloodNet enhancements. Significant progress is being made on the development of BloodNet – LIS interfaces by a number of LIS vendors and further information is available from the NBA website at https://www.blood.gov.au/bloodnet/lis‐interfaces . A special edition of BloodNet News will be released in July, providing a comprehensive update on each interface.